There was a recent video in the “WhatsApp Status” that caught my attention. My friend’s 7-year-old daughter was mimicking her. The video mimicked my friend showed how she scolds her kids, gets angry, taunts them etc. The video clip was put for fun purpose but; it showed how her mother behaved. 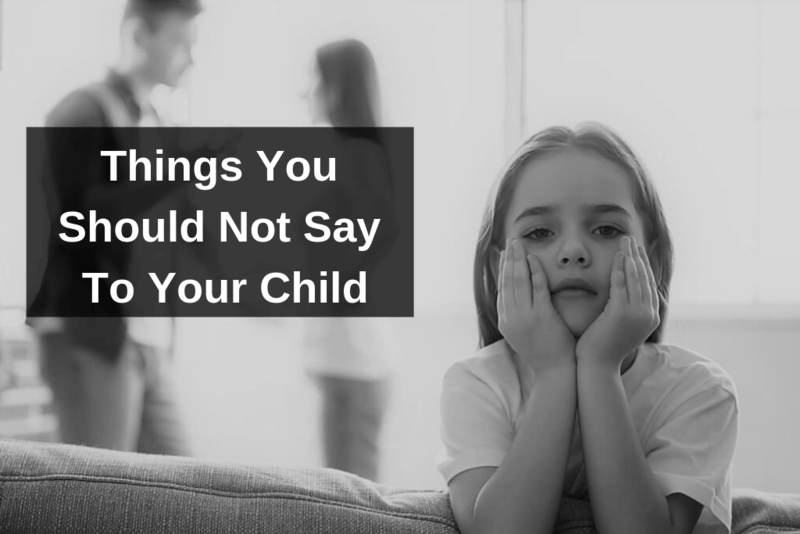 This is a growing concern – certain things parents should never do or say in front of their kids. Being a parent is a responsible job. This is to let all parents know how their children learn to speak by observing them! It’s a matter of their self-esteem; though they are still kids. Objectifying your child by showing their embarrassing photographs to others is the most bizarre thing to do. If you want your children to look smart, healthier, and feel happy about themselves, prepare nutritious food, do some exercises with them, but name-calling isn’t the right thing to do. Parents at times have no idea what they talk or gossip, when in front of kids. When you are speaking poorly of people or bad mouthing about others in front of them, you are not setting a good example. “You’re such a disappointment,” my friend said to his 8-year-old son when he came back home with a bad report card. It is such a negative statement to say to your kids. Your kids can mess up in studies but still, it is okay. Your kid may have performed poorly but he/she has done well in other subjects, appreciate them for their efforts and encourage them to improve on their poor grades. Kids don’t understand sarcasm. They don’t understand when we shout at them in anger. Kids can easily understand the behavior; however, the details they have misunderstood are often replaced with an emotional charge. It is expected for couples to have disagreements when living together. 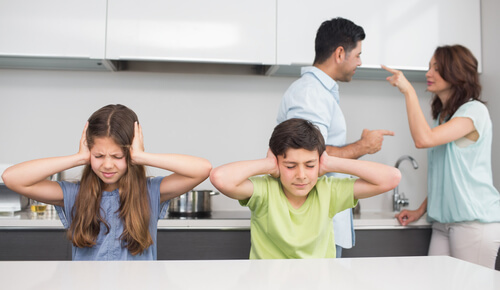 Arguing in front of your kids is surely not an ideal example of positive parenting. You need to control your aggressive emotions during disagreements and make sure that you resolve your differences behind the closed doors. If you are feeling that your child is spending more time with gadgets (tablets/smartphones/laptop) it’s because they have observed you spending your time with gadgets. Child psychologists strongly recommend you to put aside your phone or tablet and spend more time reading books, play in the outdoors and cherish engaging experiences with them. It may seem funny to tease your child in front of others but it may hurt him/her from within. Your kid will grow up with negative thoughts and fear for certain things in life, or maybe lack of confidence. Do not make fun of your kids publicly or shame your kids as it can have a negative impact on their life. Anger is a normal human emotion. And it is normal to feel angry when you’re a parent. But anger can be negative, especially when you are putting it out in front of your kids. Each time you lose your temper, you are creating fear in their minds Thus, they will refrain from approaching you. Parents are role model for their children. Your child looks up to you – how you behave, affects them directly. 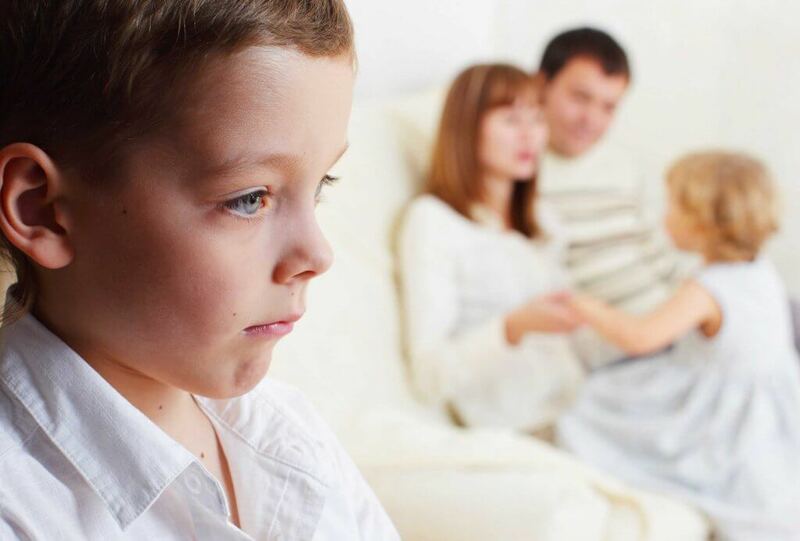 Bad-mouthing about someone would leave a bad impression on your child. What’s more, they’d start behaving the same way how you behave with other people. It also creates a deep impression which is negative, and for which they might be mocked at. 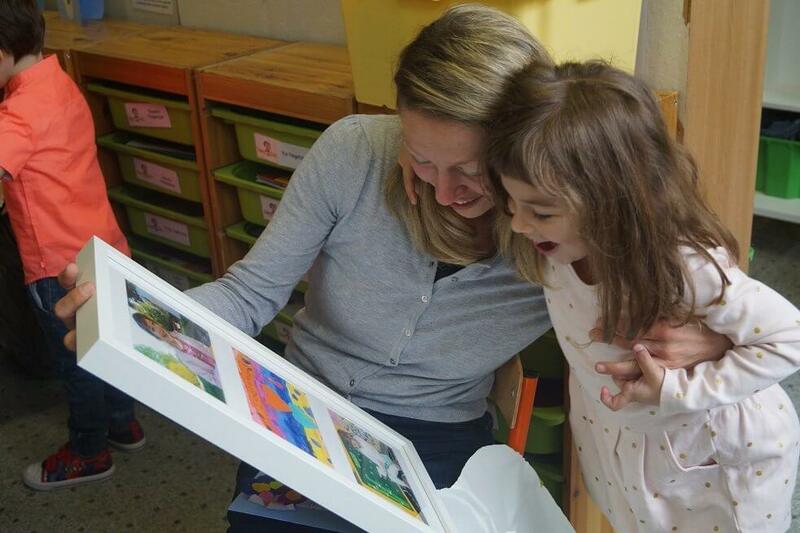 Positive parenting program educates to raise a kind, calm and friendly child. Never think it is okay to use swear or curse words in front of your kids because they’ll not understand. They would unknowingly start using the same by imitating you, thinking that it is funny. Soon, the regular usage of curse words will become a habit. We all like it when our kids outperform whether its academics, sports or other extracurricular activities. However, parents forget that their high expectation put pressure on their children. This could lead to disappointment when they fail to follow. Every child is different and has different capabilities. Try praising them even in their small accomplishments. Parents should refrain from smoking and drinking in front of kids as chances are there that they’ll secretly start the habit of experimenting at a younger age. When you smoke, not only it is injurious to your health but your kids are prone to it in form of passive smoking. There can be various health issues with them such as respiratory problems, asthma, ear infections etc. “Daddy, what do I get if I behave well in the store?” The kid passing by in a grocery store was heard asking. I was tempted to listen to the reply. “You’d get a happy family”, the father responded with a smile. Bribes fail to teach kids respect and responsibility. Practice effective parenting skills which emphasis on the child and focused on giving rewards. Being cautious while speaking in front of the children looks weird; it doesn’t mean that we should stop discussing about issues in their presence. In fact, this would lead them to think that their presence is bothering you and you don’t want them near. They’ll learn what you say and how you behave. Positive parenting is all about practicing what you put out in front of them, your words, your attitude and the image you project in front of them. With the above-mentioned tips, you’d come to know what you have been doing though it was unintentional. (Do share this article if it is so.) Your child has a very delicate mind and they are pure at heart. They have no clue about the wrongs and the rights; it’s our job to introduce them with that wisdom. Hence we need to reflect on how we behave by stepping into their shoes.